The 9th Territorial Legislature established a public school system and the Territorial Board of Education. The bill authorized any town, village, or settlement in the Territory with a population of more than 100 and at least 30 children between the ages of six and 17 to incorporate as a school district. School boards were also authorized to create Citizen Night Schools for adults and minors over age 16. Schools were required to teach U.S. history and government. Created the Office of Highway Engineer. A federal judge rules that the Ketchikan School Board has discriminated against 12-year-old Irene Jones who was not allowed to attend public school because she is of mixed race. 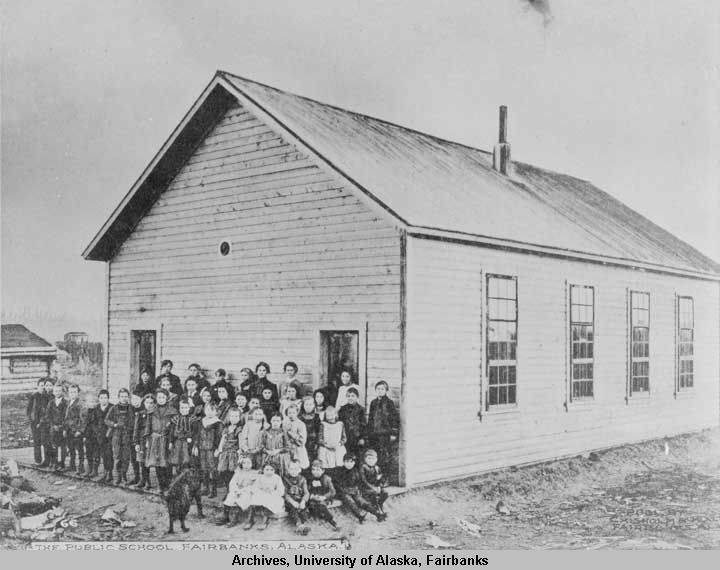 A federal judge rules that Irene be admitted to the public school in Ketchikan (1929). Alaska aviation pioneer Russell Merrill disappears when flying over Cook Inlet (1929). The U.S. Navy begins a five-year survey to map parts of Alaska (1929). On October 29, 1929, Black Tuesday hits Wall Street and billions of dollars are lost, wiping out the savings of thousands of investors. In the aftermath of Black Tuesday, America and the rest of the industrialized world spiral downward into the Great Depression (1929-1939), the deepest and longest-lasting economic downturn in the history of the Western industrialized world. Federal Bureau of Narcotics is formed (1930). In India, Mahatma Gandhi sets off on a 200-mile protest march towards the sea with 78 followers to protest the British monopoly on salt. When the "Salt March" reaches the sea, in an act of civil disobedience, Gandhi breaks British law by producing salt by boiling seawater (1930). Bobby Jones wins the grand slam in golf, capturing the British Open, U.S. Amateur, British Amateur, and U.S. Open titles (1930).